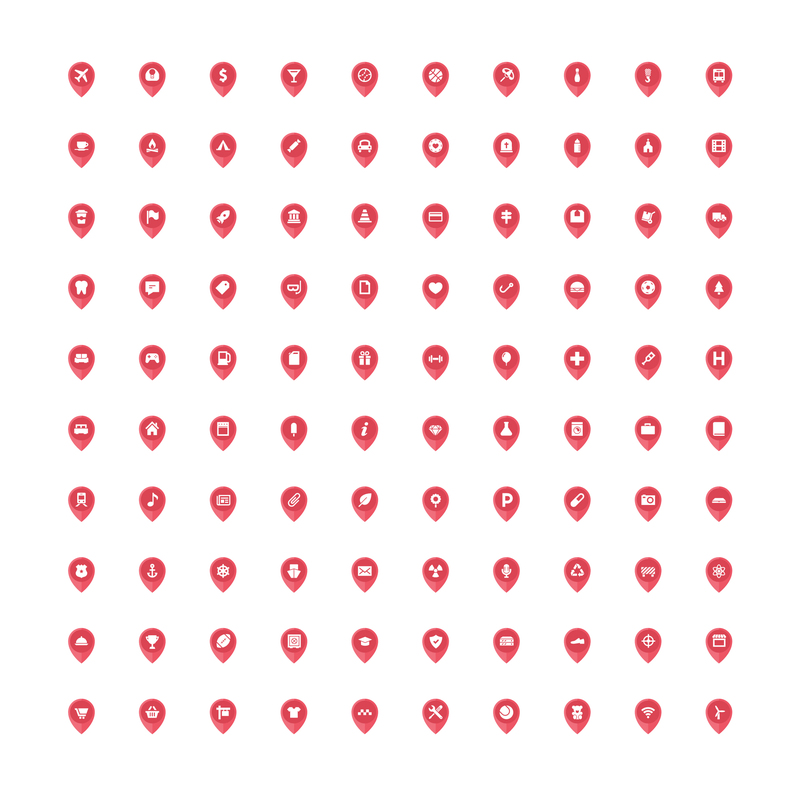 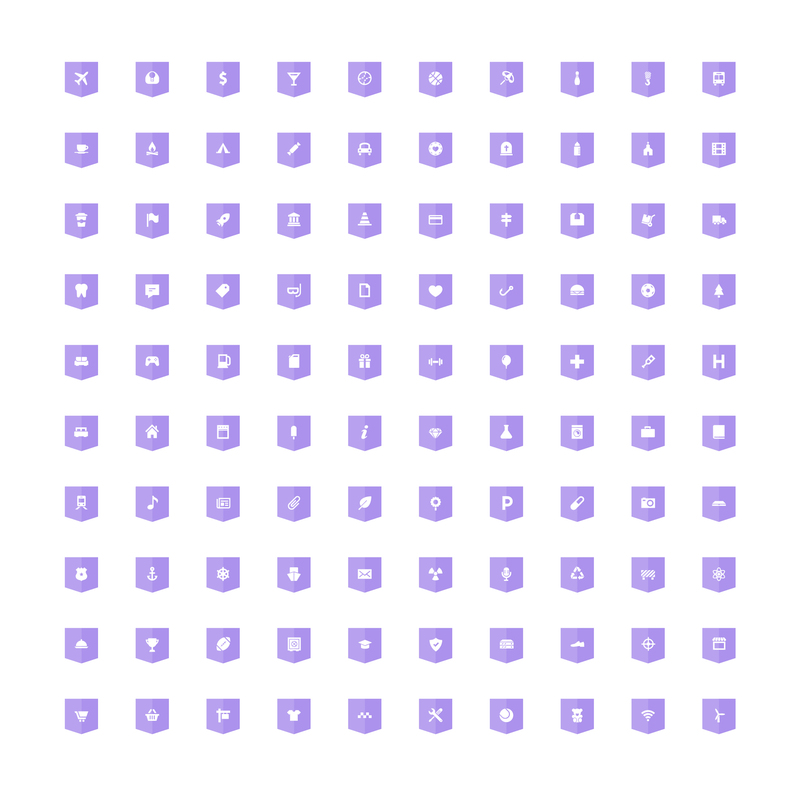 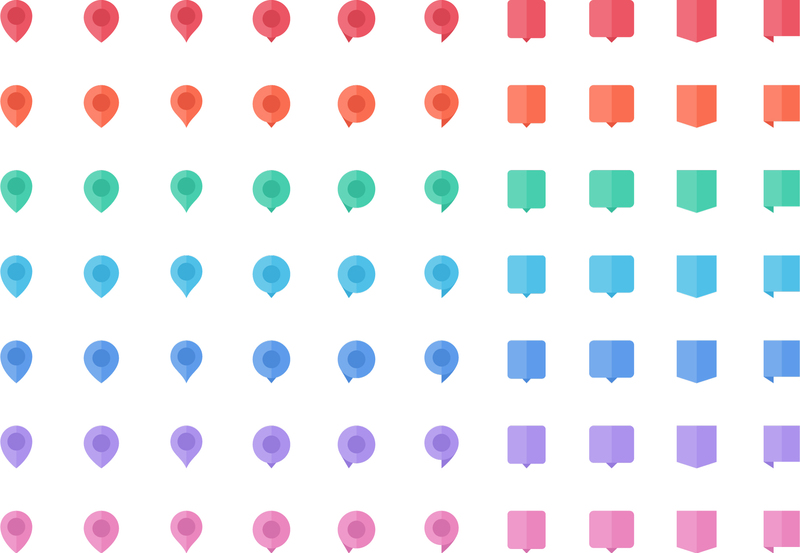 Flat style locations icon set. Icons were made as a google maps pins. Certain location icons and universal icons. 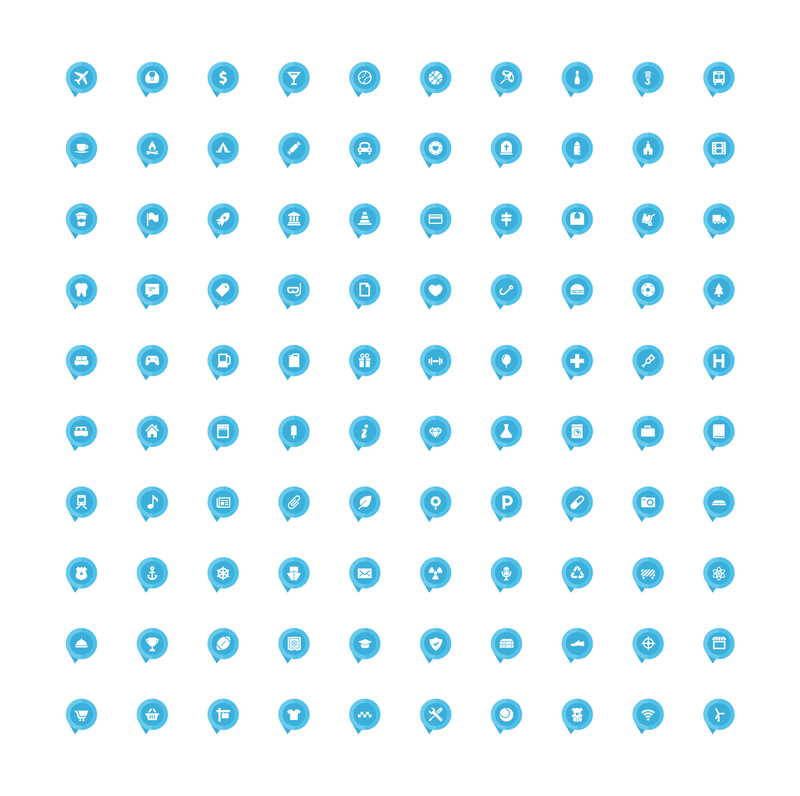 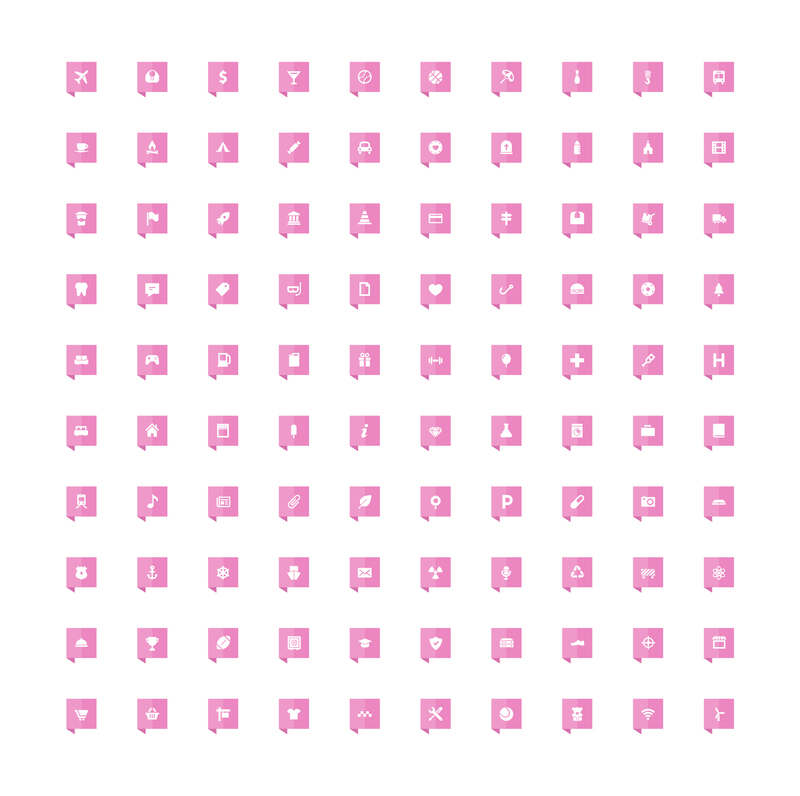 Photoshop icon generator added.  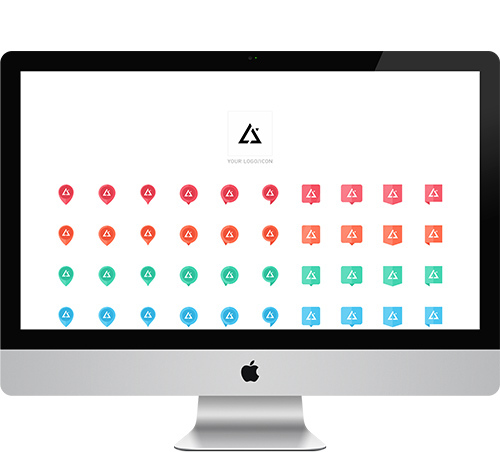 Place your icon or logo into the smart object and choose the pin option. 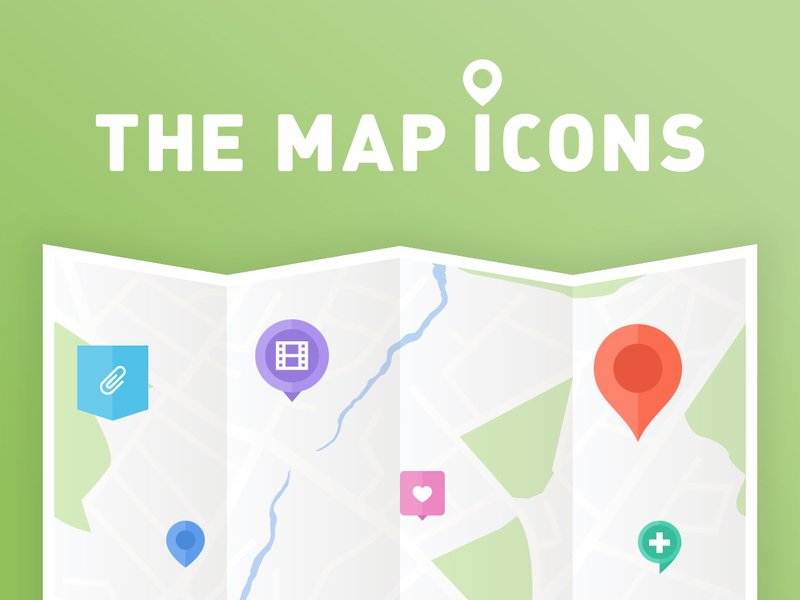 Best for web designers working with maps often.